Colorful Flock Rolags are smooth-textured and vibrantly colored. 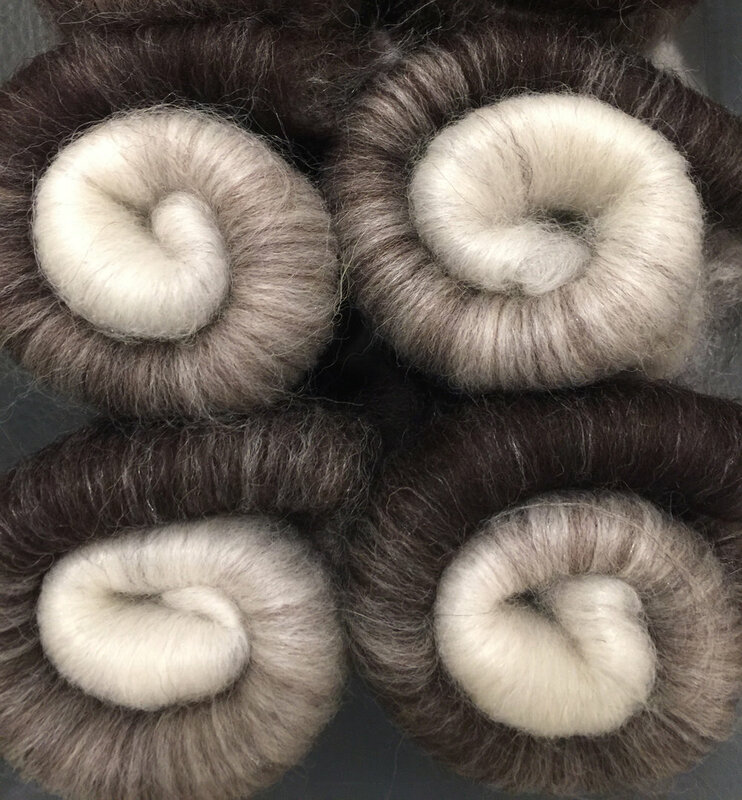 They are suitable for spinning with any draw, from woolen to worsted. Our batts weigh between two and four ounces. With bright, juicy colors and smooth fibers, texture is found in color.